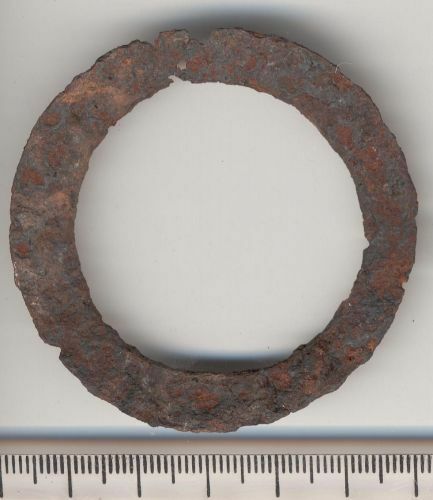 Large iron annular ring, probably a brooch. 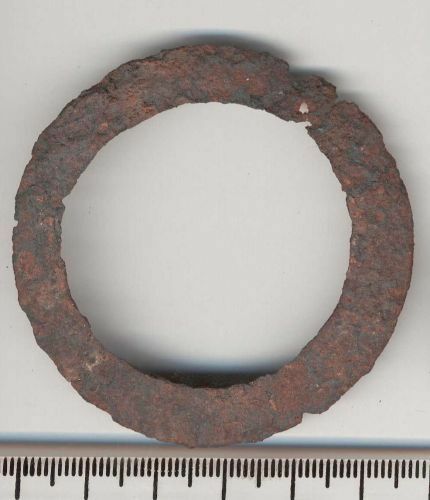 The ring frame is wide, flat and slightly convex. The frame is very corroded and no decoration can be seen.